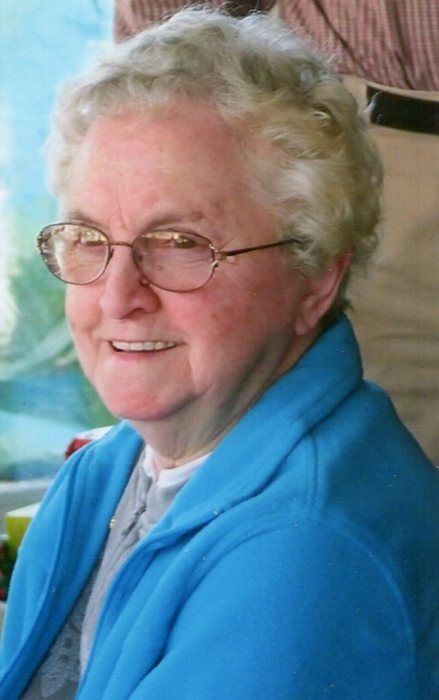 Lillian Noella (Houle) Lavoie, 85, of Bristol, CT, passed away, Thursday, January 11th, at her home surrounded by her loving family. She was the widow of Roger Lavoie. Lillian was born in Woonsocket, RI on December 30, 1932, a daughter of the late Herve and Opalma (Fontaine) Houle. She was one of the last surviving sibling of 12. She worked for General Electric in Plainville for over 23 years before she retired at the age of 62. She was a member of GE Girls Club and St. Ann Church. She was an avid Bingo player. She enjoyed doing ceramics at the Bristol Senior Center. Also going on religious retreats. She is survived by a son Jeffrey and his wife Kelly Lavoie of East Haven, 2 daughters, Paula and her husband Tom Markie of Bristol and Diane and her husband Fred Parkhurst of Manchester. 4 grandchildren, Jennifer and her husband Dane Aiudi, Corisa and her husband Steve Stopkoski , Amanda Markie and Kailen Lavoie, Her 4 Great Grandchildren, Mason and Madison Aiudi and Mia and Kara Stopkoski. . She is pre-deceased by a grandson, Matthew Clevette.